Over time, pollution and the elements do a number on your home. From the top of your roof down to the foundation, from your driveway to your walkways, deck, and patios, the accumulation of dirt, grime, and pollution detracts from the overall appearance of your home and may even lead to HOA warnings. Whether preparing the house for sale, prepping it for painting, or you just want your home to look like new again, power washing takes care of years’ worth of buildup. 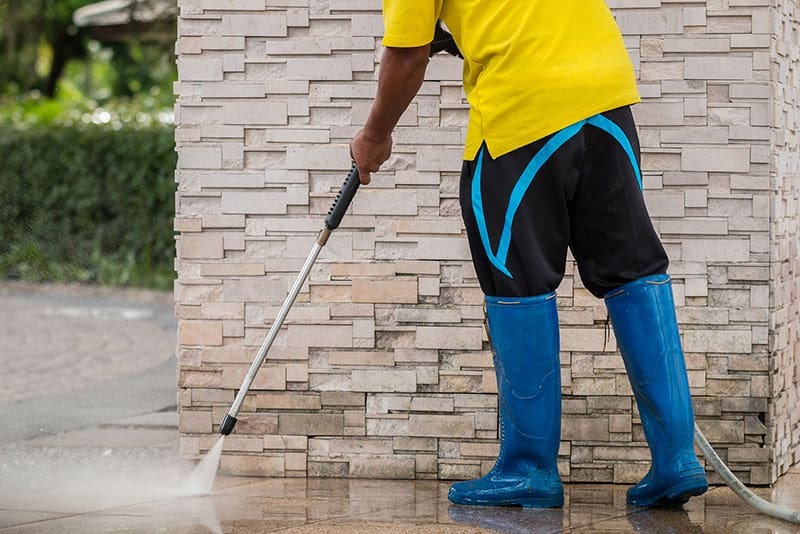 Power washing uses a high-pressure sprayer to clean surfaces of any number of items: dirt, mold, mildew, grease, grime, loose paint, even graffiti. When operated by a trained professional like the technicians at Dakota Power Washing, these sprayers take off everything you don’t want and nothing that you do. In addition to the cosmetic improvements a good power washing offers, it may also help delay some of your more expensive maintenance items, such as repainting or installing new siding, or resealing or re-staining your deck. This is because of the damage dirt and debris inflict on these surfaces. Power washing is also a time-saver, and much easier than doing this type of deep cleaning by hand. Of course, doing it yourself presents its own dangers. The availability of rental equipment turns just about any home improvement project into a potential DIY project. However, just because you can do something yourself doesn’t mean that you should. To the average person, a pressure washer probably seems like little more than a souped-up garden hose. Not quite. At close range, you can lose a chunk of skin or flesh, and without care, you can inflict a lot of damage on your home. Use the wrong pressure on the wrong surface at the wrong angle, and instead of cleaning that brick, you’re removing mortar. Do you have a stucco home? Have one of the popular barrel-tile roofs? Certain surfaces that are popular in desert architecture present special challenges in power washing and are easily damaged without the right training. If you do opt to go the DIY route, take your time learning how to use the machine and be extremely careful to avoid injuring yourself or damaging your property. Stay away from windows, and avoid using it on wood, brick, or stucco. Also, take special care with the chemicals you use, as the wrong concentration may wind up staining the surface you’re trying to clean. These chemicals may also damage your landscaping, so do your research and look for eco-friendly cleansers that are safe for plants and animals. When done correctly, yes, power washing is perfectly safe. Dakota Power Washing safely performs power washing on a variety of exterior surfaces, including aluminum, brick, concrete, stucco, wood, and vinyl siding. We also clean roofs and a variety of concrete surfaces, including patios, walkways, and driveways. Our specially trained teams also take care of cleaning your gutters and power spraying your deck. What’s more, Dakota Power Washing protects your pets, plants, and even people by using eco-friendly solutions. Ready to learn more? Contact us today for a free quote.